Denpasar is located near the equator so temperatures are more or less the same throughout the year. The only variation on this depends on the altitude - it can be noticeably cooler up in the mountains than down at the sea level. There are two seasons: the dry season and the wet season. The dry season is called “summer” by the locals although, because Bali lies in the southern hemisphere, the dry season falls between April and October. 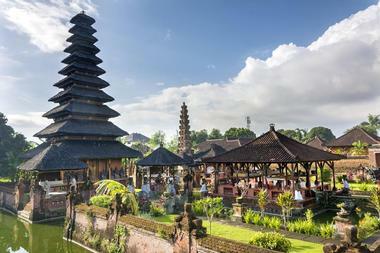 This is the peak season and considered the best time to visit Denpasar, Bali. The wet season occurs between October and March. It can rain every day and some of the rainfall can be torrential. Denpasar Weather in January: It’s a wet month in this gorgeous tropical city in January. Precipitation levels are at their highest with about 8 inches of rainfall to be expected. The low temperature average hovers at 77°F (25°C) while the high temperature average is quite warm at 88°F (31°C). In February, the average high and average low temperatures hold steady at the 88°F (31°C) and 77°F (25°C) respectively. Precipitation levels begin a downward trend this month as the peak season approaches. March sees the precipitation levels averaging at 4 inches. 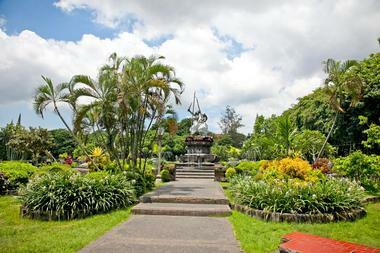 With rainfall decreasing and humidity falling along with it, March makes one of the best months to visit Denpasar. The high and low temperatures remain the same. Denpasar Weather in April: It’s a busy month in April at Denpasar with the tourist season picking up. The average high temperature remains the same at 88°F (31°C). On the other hand, the average low temperature sees a small decrease to 76°F (25°C). In May, the low temperature average remains the same at 76°F (25°C). The high temperature average decreases by a single degree to 87°F (31°C). Precipitation averages are low with just 1 inch of rainfall expected. June sees the climate cooling further albeit minimally. The low temperature average and high temperature average range between 75°F (24°C) and 86°F (30°C). Denpasar Weather in July: It’s the coolest month of the year in July for Denpasar. The tropical locale sees high temperature averages at 85°F (29°C). The average low temperature decreases to 74°F (24°C). In August, Denpasar experiences its driest month of the year with 0 inches of rainfall expected. The average high temperature holds steady at 85°F (29°C). Likewise, the average low temperature remains at 74°F (23°C). September brings slightly warmer temperatures as the average high temperature is bumped up by a single degree to 86°F (30°C). The low temperature average stays the same at 74°F (23°C). Denpasar Weather in October: The weather increases steadily in October with the average high temperature rising a few degrees to 88°F (31°C). The average low temperature increases by the same amount to 76°F (24°C). Meanwhile, precipitation averages are at 1 inch. In November, Denpasar experiences its hottest temperatures of the year this month. The average high temperature peaks at 89°F (32°C). Low temperature averages rise to 77°F (25°C). December sees low temperature averages holding steady at 77°F (25°C). On the other hand, the average high temperature sees a minimal decrease to 88°F (31°C). Ready to hit Bali’s gorgeous beaches? Arguably the best time to come visit to enjoy the best of Denpasar’s beach life is between the months of April and September. The best weather, however, comes in May, June in July. If you’re in Denpasar to enjoy festivals and holidays, the best time of the year to come is in March as most of the best festivals take place during this time. Surfers and other water sports enthusiasts will get the best waves between May to October, especially on the western side of Bali’s peninsula. Most tourists arrive in Denpasar at the Denpasar Airport which is formally known as the Ngurah Rai International Airport. 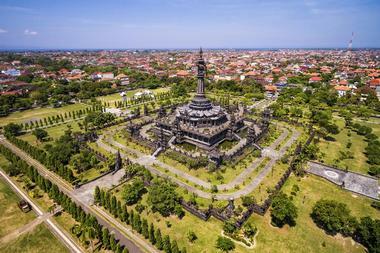 It is located about eight miles southwest of Denpasar and close to the popular tourist destination of Kuta Beach. 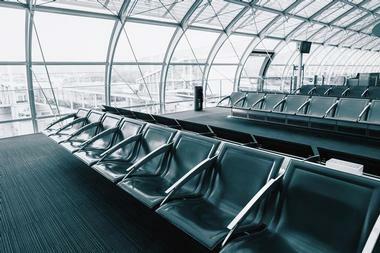 Most visitors from Canada and the United States pass through one of the larger international airports in Asia such as Bangkok, Hong Kong, Jakarta, Seoul, Singapore, Taipei, or Tokyo before continuing on to Denpasar. There are also flights to Denpasar from Australia and New Zealand. Another way that some visitors arrive is by boat or ferry from one of the nearby islands in Indonesia. There are several ways to get from the Denpasar Airport into the city of Denpasar. There is an official taxi counter just outside of the arrivals hall. You should tell the attendant the name of your hotel in Denpasar and pay the fare: then you proceed to the taxi and show the driver the receipt. There are many other taxis waiting around the airport: these often take advantage of unsuspecting first time visitors, so it’s best to use the official taxi counter. Another way to get into Denpasar is by renting a car at the airport. There is also a public bus system that visitors can use. It might sound extravagant, but one of best ways to get around Denpasar and the surrounding areas is by hired car and driver. Your hotel can make the arrangements and the drivers are always reliable and trustworthy. There are also agencies like Bali Island Car Rental that offer this service. Unless it’s been prearranged through the hotel, you will need to negotiate the fare with the driver. This is a good way to go because the drivers are friendly and know where to take you and the best way to get there. Riding a bicycle can be a fun way to travel short distances. If you are interested in trying Indonesian food, Denpasar is the place to be. There are many restaurants that specialize in this cuisine: some of these include Ayam Goreng Kalasan, Bakso Supra Dynasty, Cafe Teduh, Cak Asmo, Warung Bundaran Renon, and many others. Some restaurants specialize in fresh seafood dishes such as Cianjur and international cuisine like the Baker’s Corner. Pasar Malam Kereneng is a night market where vendors serve tasty dishes until dawn. 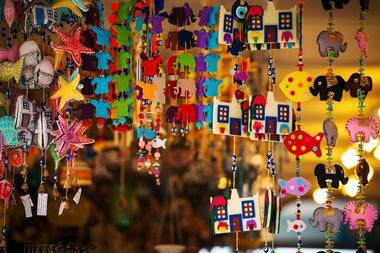 There are other markets in Denpasar but these are shopping markets such as Pasar Badung and Pasar Kumbasari. Shopping centers include Mal Bali, Matahari, Robinson’s, and Tiara Dewata Shopping Center. 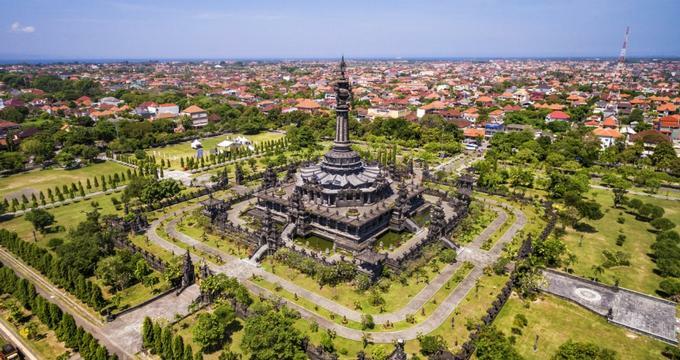 Denpasar is the capital of the island of Bali, and Bali is one of thousands of islands that make up the Republic of Indonesia. If you plan a wedding in Denpasar, it must adhere to the rules of this heavily Muslim country. You don’t have to be a Muslim to have a wedding in Denpasar, but couples must share a religion and declare it. Your wedding must be recorded with the Civil Registry. 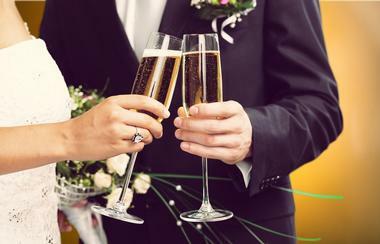 After completing the paperwork, it’s time to look for your perfect venue. Some of the top wedding venues include the Sanur Paradise Plaza Hotel, the Princess Keisha Hotel, the Sanur Paradise Plaza Suites, and many more. Denpasar offers a wide variety of accommodations ranging from luxury properties to simple yet clean and modern hotels. Some of the high-end luxury hotels include the Alum Puri Art Museum Resort and Spa, the Aston Denpasar Hotel and Convention Center, the Banyumas Villa, the Harris Hotel and Conventions Denpasar Bali, and more. There are many two and three star hotels that will serve the needs of many visitors, especially those who like to spend their time out exploring the sights. Denpasar accommodations also include a variety of apartments, guesthouses, and hostels. No matter what kind of accommodations you are looking for, you will find it in Denpasar.